This is a licensed cotton print of various comic heros by Marvel Comics. It is produced by Springs Creative. Turn this 100% cotton fabric into a stylish bandana or add it to a patchwork quilt of all your favorite things. 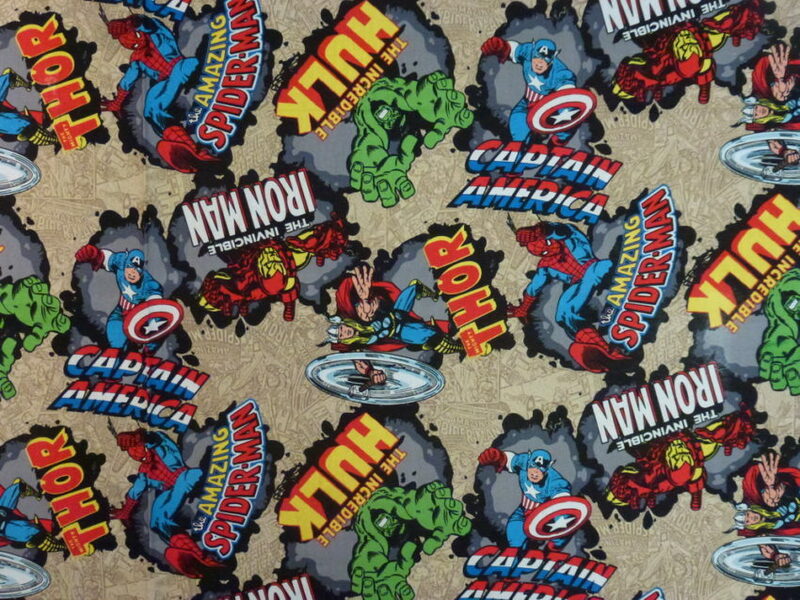 Featuring Thor, Iron Man, Spider-Man, Captain America and the Hulk, this fabric is just what you need to show off your inner nerd. This 100% cotton print is perfect for quilting, apparel and home decor accents.